At the Stratford Kiwanis Garlic Festival, garlic is the star. 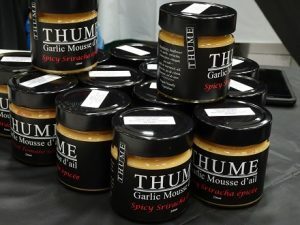 In 2007, the Kiwanis Club in Stratford, Ontario, joined local garlic growers to promote Ontarian garlic which was struggling to gain a foothold in a market that was dominated by China. 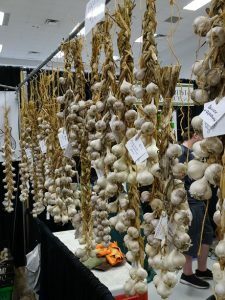 Today, the demand for locally-grown garlic has increased to the point where more acres of garlic need to be cultivated in order to meet the demand. 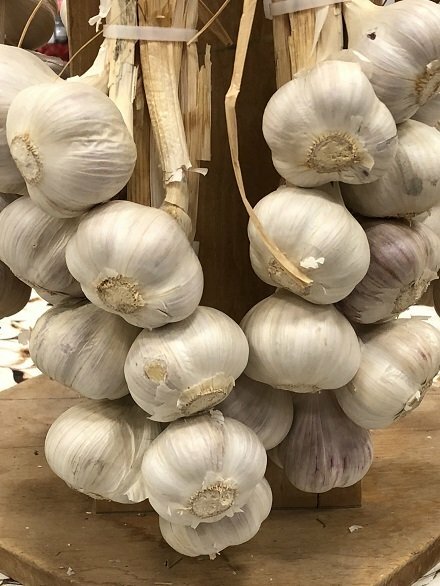 Often Ontario garlic disappears from grocery store shelves by January and is not available until the new crop is harvested in June. 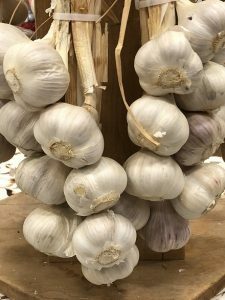 We need more garlic growers! 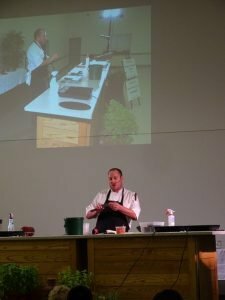 The 12th annual Garlic Festival in Stratford included cooking demonstrations, seminars, tastings, pairings and garlic-related products. Garlic, the number one spice in the world, is best when it is firm, plump, non-sprouted and not wrinkled or withered. Though admittedly, if necessary, less perfect garlic is better than no garlic. Ventilation is the key to freshness. Stratford Chefs School’s Chef Eric Silverthorne at the demonstration table. Garlic mousse. After tasting, we bought three. Garlic related inventions. Wouldn’t we all love an easy way to prepare garlic for a recipe? Here, the plate is the grater. 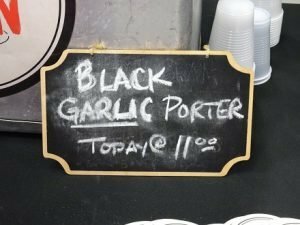 Black Swan Brewing teamed up with Rhéo Thompson Candies and The Milky Whey Fine Cheese Shop to tantalize takers with beer and chocolate and beer and cheese tastings. 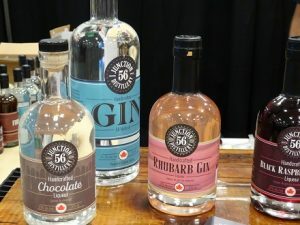 Junction 56, a local craft distillery offered samplings of their grain-milled spirits. 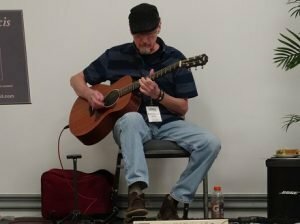 Musicians added a skip to our step as we strolled from booth to booth. 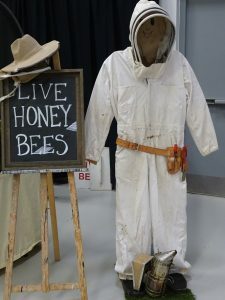 A bee presentation supported the theme for the upcoming 2018 Stratford Fall Fair. To Bee Or Not To Be – bringing Agri and Culture together. An appropriate mandate for a Shakespearean city nestled among farmers’ fields. 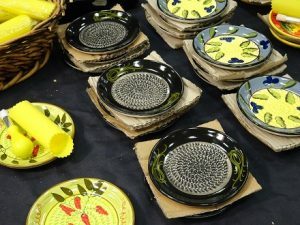 As a showcase of the garlic industry, The Stratford Kiwanis Garlic Festival creates a fun event for us foodies. Hopefully, at the same time, it entices prospective garlic growers to get on board. We can’t do without garlic, and locally grown is always best. Click below to see our Garlicky Balsamic Chicken Caesar Salad recipe posted on our website.